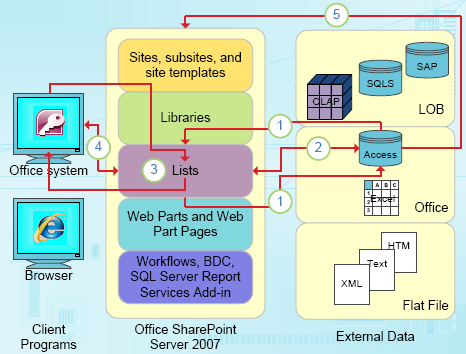 SharePoint integration is just like having all the doors open to your business world. With just a single dashboard or portal, one can have easy access to several applications and data in safe environment. When it comes to SharePoint Integration services, Creative Web Designer always remains the top choice of businesses, owing to its deep expertise and experience in office and collaboration products. Creative Web Designer has the inside track to SharePoint Products Group as trusted and reliable vendor since its conception. Creative Web Designer is the well accustomed with all the versions of Microsoft SharePoint, including the latest versions. Being the leading and Microsoft Certified service provider we have successfully worked with several businesses of different sizes and rendered them victorious SharePoint integration projects. Our SharePoint integration services are masterly designed around industry’s best practices that are recommended by Microsoft and internally developed and tested methods.